CIMB is trading within tight range swing from RM8.11 to RM8.31 & forming Bolinger Band Squeeze. 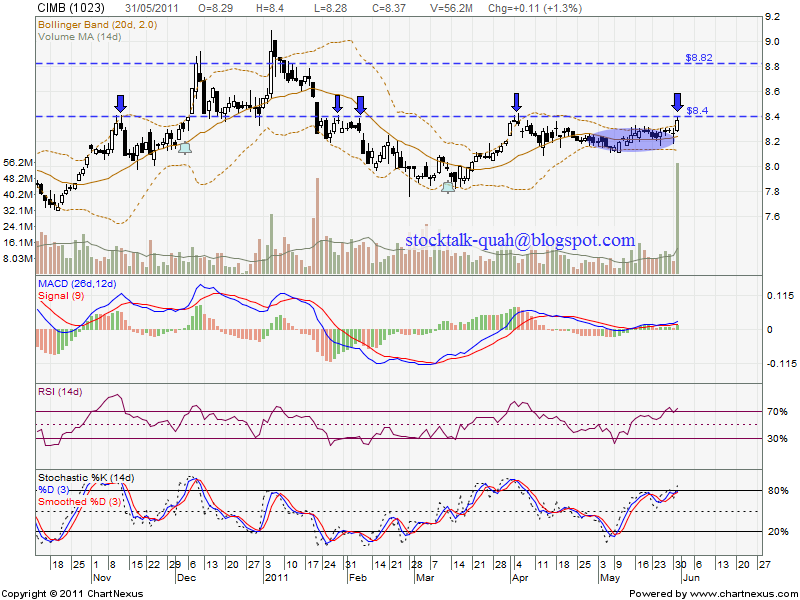 As 31 May 2011, CIMB retest RM8.40 strong resistant level. 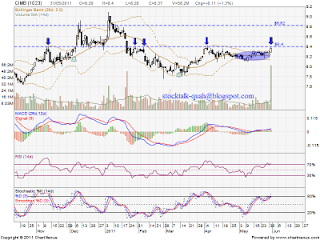 If able break up this level with huge volume, it might be retest RM8.82 level high soon.